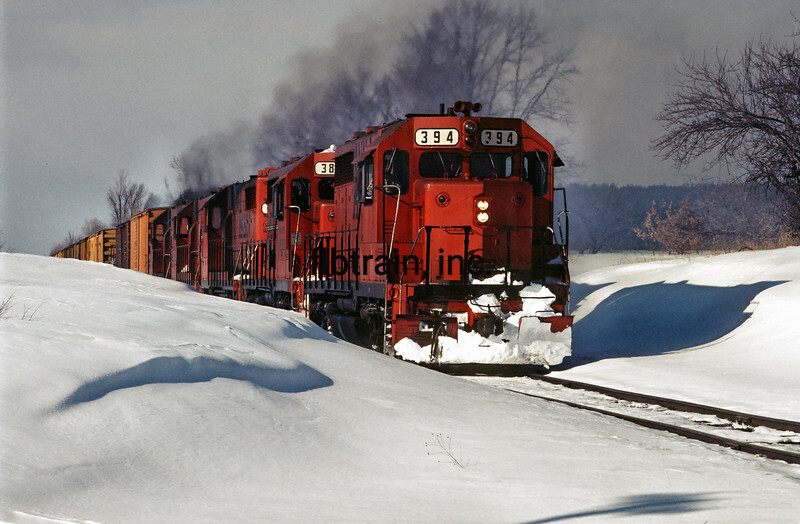 Ann Arbor's GP35 394 + 4 with FO2 in 10 foot snow drifts through Yuma, MI. Besides the boat traffic, the main commodity was foundry sand for the vehicle engine foundries in Cleveland, OH. 3/1982. I was CMO of the Annie at the time.